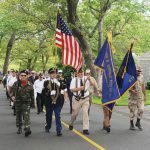 Martha's Vineyard observed Memorial Day in a solemn ceremony punctuated by the poignant remarks of James S. Craig, who called to mind long-lost comrades. 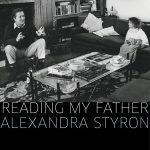 Told with straightforward candor,"Reading My Father" by Alexandra Styron offers every privileged bit of information you've wondered and wanted to know about the Styron family. In the event of expected rain late this morning, the Tisbury Memorial Day Picnic will be pushed back from noon to 1 pm. 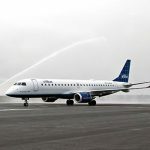 Thick fog Thursday dampened the start of nonstop Jet Blue service between John F.
Oak Bluffs voters defeated two Proposition 2. The SSA announced late Wednesday, May 25, that the Governor's 6:30 pm trip from Vineyard Haven to Woods Hole had been canceled because of mechanical problems. Oak Bluffs selectmen considered a new outdoor music policy at their Tuesday meeting, but finally settled on a stopgap measure that effectively rules out amplified bands at harbor restaurants until selectmen revisit the issue at their next meeting, on June 14. Up-Island emergency responders including police, ambulance, Wampanoag tribe (WTGH) rangers and Coast Guard personnel scrambled late on the morning of May 18 following a report of a "boater in distress" off Lobsterville Beach in Aquinnah. A writer who became a reporter, then a public relations executive, then a historian, Arthur Roy Railton died peacefully at Martha's Vineyard Hospital last week of respiratory failure after a very brief illness. 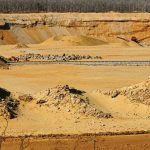 In a decision May 11, Dukes County Superior Court Associate Justice Tina S. Page ordered Oak Bluffs to reimburse $35,736 in attorney fees to Peter Martell. 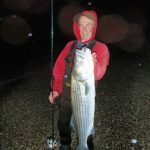 This long holiday weekend the attention of many fishermen will be focused on where best to hook a striped bass, bluefish, fluke, or sea bass. A large yellow plane swooped down over State Beach and skimmed the surface of Sengekontacket Pond Sunday prompting calls from a few startled Islanders. There were two Girls Youth lacrosse games on Sunday. Oak Bluffs voters will decide two Proposition 2. A new store, hannah b.
Olivia Jacobs, a seventh-grade Tisbury School student, heads off this weekend to Washington, D.
Construction damage to trees is hard to avoid in some instances. With a piano tripping lightly after her, the familiar voice begins its maple syrup slide over the verse "” "Kitty Casey was baseball mad..."
The Martha's Vineyard Commission land use planning committee made it clear that there is no relevant issue eligible for review concerning Goodale's.